There are several corpse reviver recipes floating around, but this one is considered by most to be the best-tasting. It was first published in Harry Craddock's infamous "Savoy Cocktail Book" in 1930. 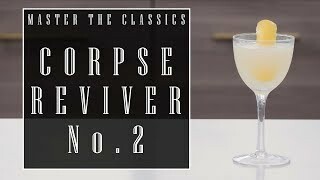 It's interesting to note that all of the corpse revivers were originally designed to be "hair-of-the-dog" drinks for the morning after! NOTE: If you don't already have Lillet Blanc in your bar, try and find Cocchi Americano instead...it's closer in taste to the Kina Lillet that was originally called for in this recipe and improves the flavor profile. If you can't find, or don't want, either, a sweet vermouth will do in a pinch. 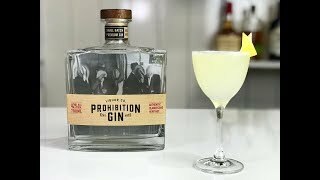 And if you're not familiar with Old Tom Gin, it's a rounder, more viscous, slightly sweeter gin than the London dry ones you're probably used to, making this cocktail one that even gin-haters will love! Rinse a chilled glass with the absinthe. Discard (or drink) any excess. Pour the rest of the ingredients into a shaker with ice. 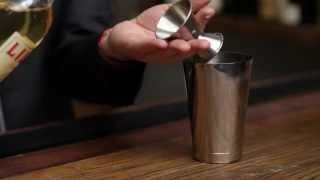 Shake vigorously for 10-15 seconds then strain into the absinthe-coated glass. Enjoy!